Next weekend the spectacular and exciting sport of surf boat racing re-commences with the first carnival of the season at Bilgola Beach. Billy, as it is affectionately known throughout the Northern Beaches, has been hosting the season opener for decades. The summer’s first competition event is much anticipated, where the Northern Beaches crews come out of the winter hiatus and match skills and fitness off the beach. 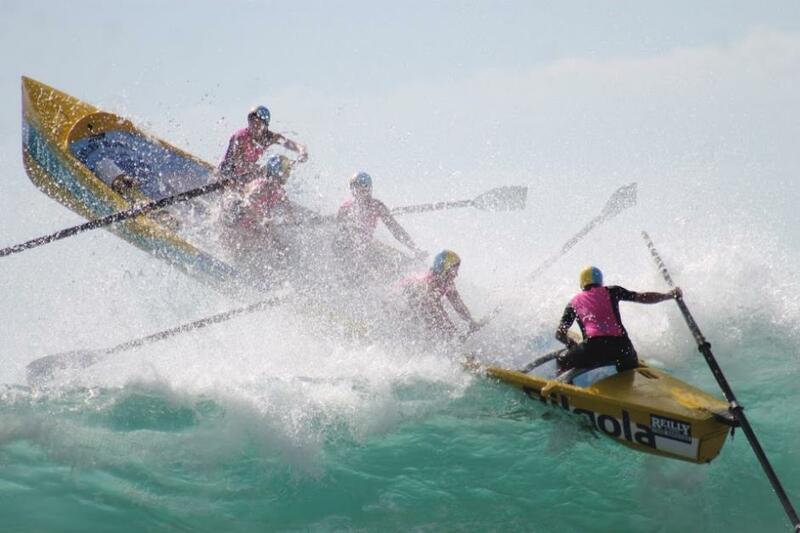 Surf Lifesaving Sydney Northern Beaches branch is the largest and most competitive surfboat racing community across Australia, in fact SNB has more competition crews than all of Queensland combined and always at the top end of that competition is Bilgola. 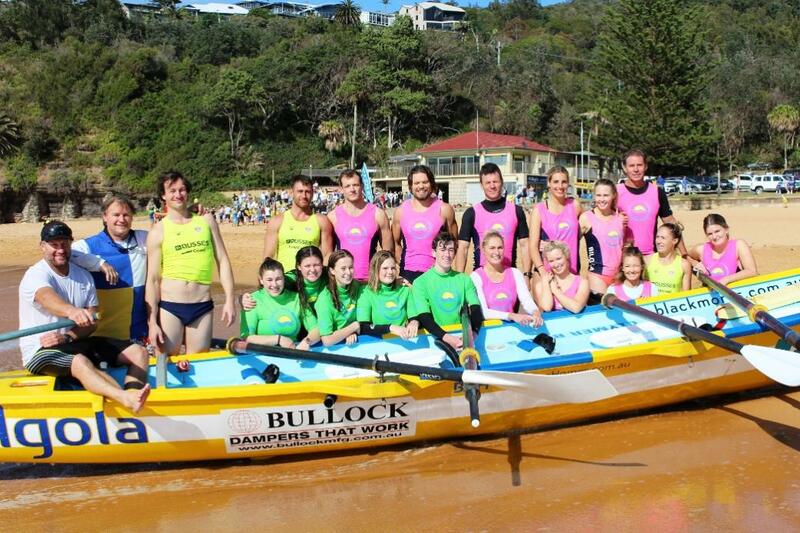 Bilgola has always been a surfboat club. Since inception in 1949 Billy has rowed and competed in surfboat events. The first Bilgola surfboat was an old double-ended craft affectionately known as “Irene”. Irene was so named because every time they caught a wave it was “good night Irene”. Syd Fischer of America’s Cup fame was the club’s first sweep from 1950 until about 1956 winning the club’s first Australian Championship medal. Across its successful history other notable sweeps have competed for Bilgola and left their mark on the club, Spaz Hurst, Bickies Bartlett, and Don McManus to mention only a few. The club has won a myriad of championship medals at all levels of competition, Branch, State, Australian, and World championship events; has numerous members in the Australian Surf Rowers League Hall of Fame; and members, such as Michael ‘Bickies’ Bartlett, have been granted Life Membership across each of branch, state and national levels of Surf Life Saving movement resulting from his contribution to surfboat competition at Bilgola Surf Lifesaving Club. In 1997 The Bilgola club achieved a feat that had only happened twice. In the national championships in Kurrawa Queensland, Bilgola had a crew in 4 of the 5 division finals and went on the win the Junior Championship and the prestigious open Championship. Only twice previously in the history of the national championships had a club won more than 1 division. In the 2002/2003 season the Bilgola Club won the Champion Surfboat Club of Australia This prestigious honour is run in selected carnivals all over the country on a point score system over all of the 5 divisions from juniors to the open and women’s. In 2005 the Bilgola Gold Women’s Open Crew backed up for their second consecutive Australian Gold medal. In 2006 the Bilgola Gold Women’s Open Crew won the World Championships in Lorne and in the same year at the Australian Titles in Kurrawa, two Bilgola Junior crews, and the Under 21 Colts started in the Australian Final, with the Colts taking out the Bronze medal. The club has come a long way since ‘Irene’, becoming one of the consistently preeminent surf boat clubs in Australia and prides itself not just on the quality of crews they produce both in men’s and women’s competition but also the camaraderie and fun that all rowers have being part of the Billy programme. Bilgola is under the guidance of a new boat captain this year, Mark Fitzgerald, who is looking to re-establish the club’s strong dominance in competition after a few lean years following Bilgola’s peak of being the Australian Representative team in 2014, winning the Trans Tasman series. Fitzy was also boat captain back in the 70s and 80s, and is a veteran of surfboats. “Organic growth is what we are after. We have started a progression programme from the successful cadet’s division within the club. With the relaxation of barriers to trial surfboat competition this year, we now have three junior crews, where all the rowers are aged fifteen years old, getting ready to compete in the new year” says Fitzy with pride. “We are still looking for more young rowers to fill out the crews so would welcome any enquiries”. This season Bilgola is hoping to field competitive crews in all eight primary divisions of competition - Open Men & Women, under 19 M&W, u23 M&W and Reserve M&W, plus a couple of masters crews. 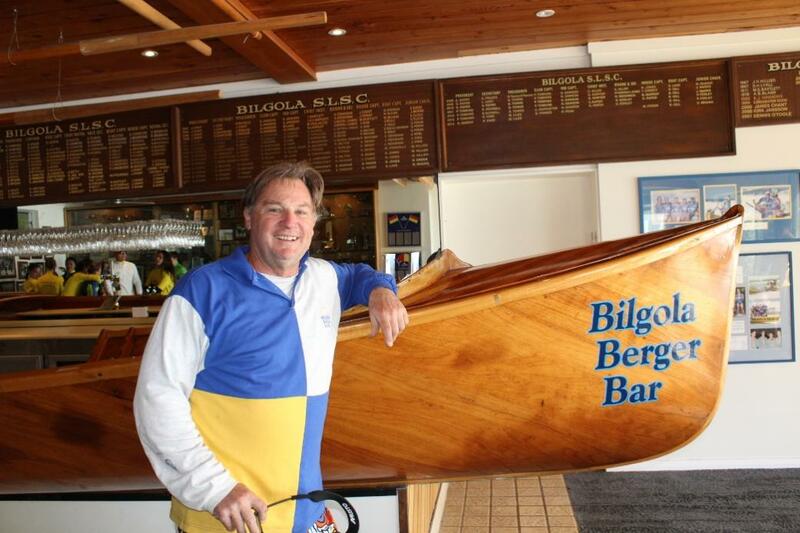 Bilgola club stalwart, Benny Gill, or Sparkles as he likes to be known, is sweeping the Bilgola A Crew of Mitch Renouf, Dave Bryant, Nathan Udy & Rupert Ritchie. Bilgola Beach A CREW 2017- 2018. Benny’s A’s have been competing together for the past two seasons and feel confident that their now honed surf skills, new sweep and the training they have been putting in will lift them to the top of competition this season. The Bilgola Barnacles u19 Women’s crews of Jasmine Axford, Milly Webster, Kiera Paine and Arabella Archibald, is in training each week looking to start racing as soon as the youngest member turns 16 in January. 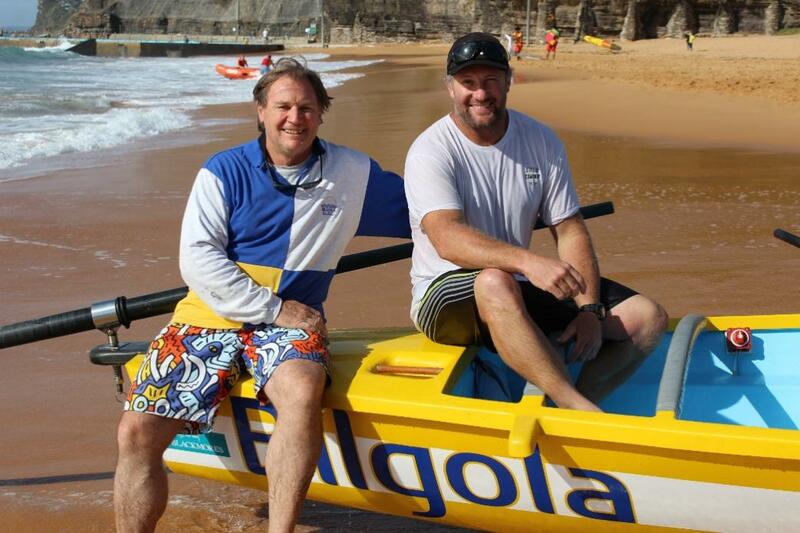 Bilgola’s fantastic sponsor Marcus Blackmore and his company Blackmores have been pivotal over the years in the Bilgola’s competition success with their continuous support of the surfboat section. Blackmores ensure the club always has the latest equipment enabling Billy to be competitive at the highest level. This year the A Crew will be competing against top twenty-four crews country in the Ocean Thunder series with the help and support of long-time club rower and sweep Neil Jones. The Bilgola Surfboat Carnival has traditionally restricted entrants to Sydney Northern Beaches clubs up until this year. Following more and more requests from surfboats crews in other branches to be permitted to compete with the regularly best surfboat crews in Australia, SNB has now opened their carnivals to other clubs, so it will be interesting to see how well other crews are able to stack up against our local beaches surf boat crews. Last season over 70 crews participated in this spectacular event. One not to miss – next Saturday, November 4th. Inside Biglola Beach SLSC Clubhouse! 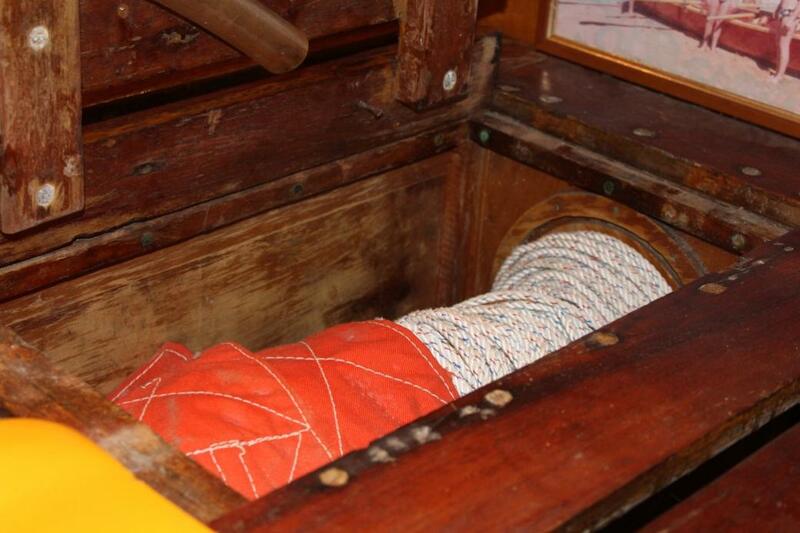 Inside the Bilgola Berger Bar Boat - Reel and line still intact!